The Indian Air Force desires to induct five firing units of the S-400 long-range surface-to-air missile system by the year 2022. If the proposed deal with Russia is finalized, it would be one of the biggest arms contracts India has ever had with Russia. New Delhi (Sputnik) — The Indian Air Force (IAF) has told the parliamentary panel on defense that the procurement of the S-400 air defense system developed by Russia holds prime importance in its efforts to tackle possible threats from China and Pakistan. "Requirement of fighter aircraft is our first priority. Next is the long-range SAM S-400 system for which we have bet. That would substantially change our posture both towards northern adversary as well as towards western adversary," reads the statement put forth by the IAF before the Parliamentary panel for defense. The parliamentary panel, on its part, has recommended that funds towards the procurement of S-400 systems be made during the year as per the demand by the IAF. India and Russia have been working on the final commercial contract since October 2016, when the two sides concluded an intergovernmental agreement for the procurement of five S-400 systems and four stealth frigates by India. Defense sources told Sputnik that negotiations are at the final stage now and the commercial contract is expected to be signed sometime soon. There are speculations that the Moscow visit by Defense Minister Nirmala Sitharaman later this month could see the deal finally coming through. The S-400 systems are capable of intercepting and destroying airborne threats at a distance of up to 250 miles and can simultaneously engage up to six targets. Each S-400 comprises tracking and search radar systems, eight launchers, 112 guided missiles, and command and support vehicles. China was the first global customer of the S-400. The world's most potent air defense system was delivered by Moscow to Beijing last year. 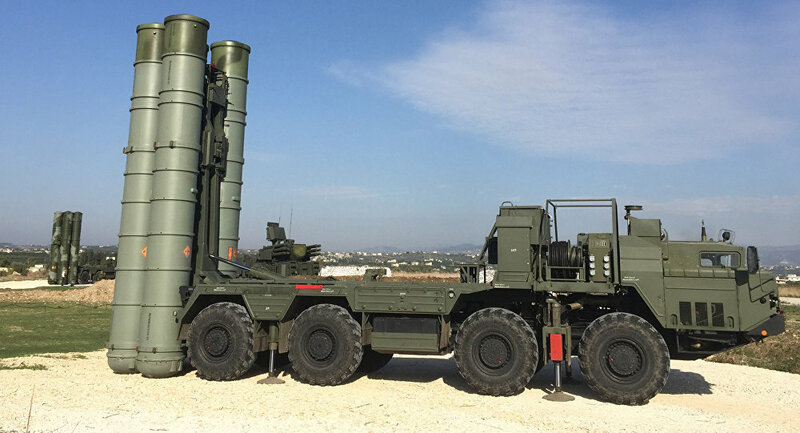 Russia is also expected to begin implementing the contract on the delivery of S-400 systems to Turkey in early 2020. Meanwhile, apart from the attempt to conclude the impending S-400 air defense system deal, Sitharaman is also expecting to move forward the discussions on the proposed bilateral collaboration on the development of a fifth generation fighter aircraft (FGFA).